Weebly is a world renowned website builder with integrated ecommerce that has been empowering several websites and web based businesses from many years now. You can use Weebly templates to make your website look unique and different from your competitors. 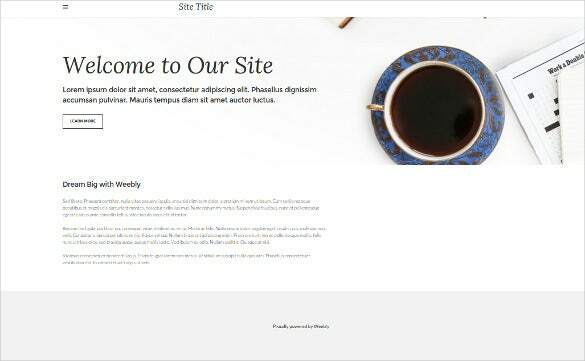 The world of premium and free Weebly templates is full of hundreds of options, so finding the best ones is indeed a time saver. There are so many website builders around like WordPress, SiteBuilder, Sitey etc. that choosing the right one really get tough. You might question why choose Weebly among so many other available options! > We Will Give You Some Perfect Reasons To Do So. First and foremost, Weebly is a very well known website builder and it is of course wise to choose something for your website that is well documented, used and popular. This will help you sought out any problem or query related to the website designing, customizations, available plugins and other related features very simply and quickly. Weebly templates and website building are a stable choice. It does not come with many plugins but what makes it certainly a good choice is that, the users do not require any technical skills to use it. It is great for beginners and comes with organized, user friendly and relatively simple interface. Additionally you can go for the pro plans, e-commerce specific stores etc. if you want an advanced, premium website. Thus we conclude that this website builder is well suited for both novice and adult users. This template has 4 color combinations in store besides an editable interface. Simplistic interfaces are included whereas the print ready options render added support to the professionals in addition to the vibrant layout. Like the name, this template provides an extended support in addition to the multiple color selections. One can customize the layout according to the color schemes and make the best use of the print ready framework. Customize this template according to multiple color combinations which come in real handy for the designers. An editable layout is featured besides the simplistic layout and a large collection of vibrant images. Free responsive professional Weebly template comes with beautiful color schemes that are bright enough to give your site an extra touch of premium feel. This template has fixed navigating feature to provide the visitors a smooth browsing experience. 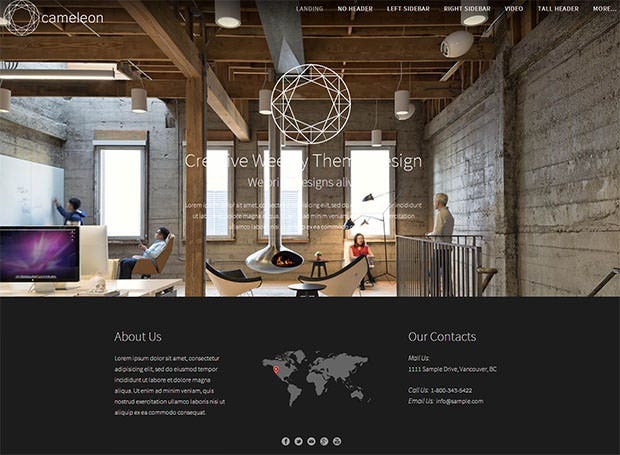 Lucent Weebly template is crafted with care to suit the needs of corporate, business, real estate and other related websites. It has a very elegant design with metallic color backgrounds. 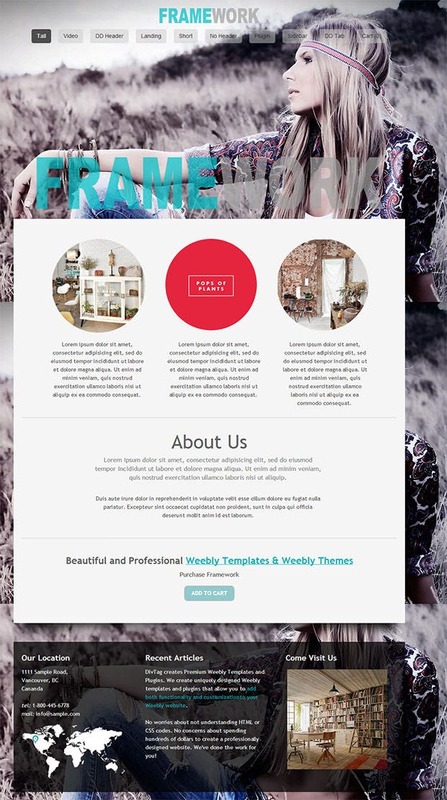 If you’re associated with any of the creatively-inclined professions – fashion, interior design, photography, or anything related – this particular Weebly themes has the goods to be the theme for your website. The theme’ overall look and appearance – which is neat and classy – completely supports websites the aforementioned categories. 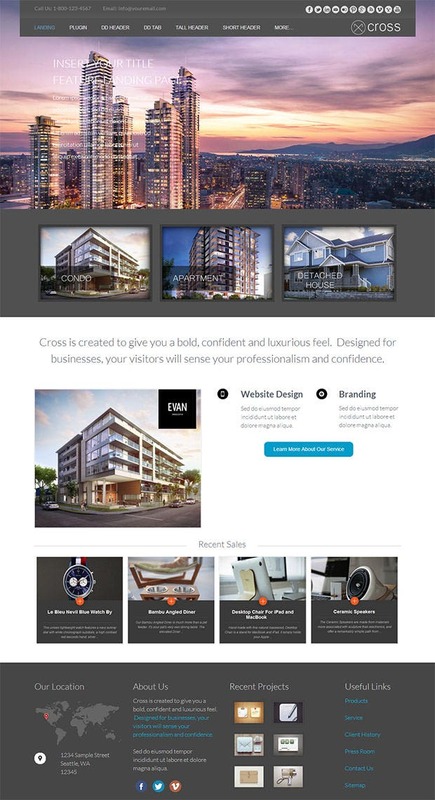 Open Weebly website template is a custom Weebly theme that can give your site a dash of awesomeness with the exclusive look and features that are even highly customizable to help you set your site according to your preference. 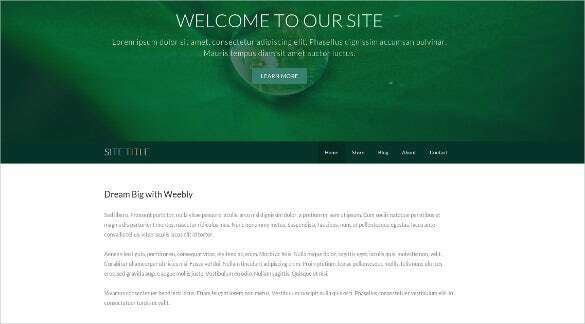 This premium Weebly template is designed carefully to suit the needs of any website and comes loaded with exclusive features. You can use it specifically for furniture, conservation, clubs, interior designing and other related website. This cool Weebly theme has multiple color schemes, background options, layouts and much more to help you customize your site easily. You can use it for general websites, blogs and even e-commerce websites. 11 page layouts are supported by this extremely resourceful template. One can make the best use of three sliding banner style whereas the 6 drag and drop areas come in real handy for the professionals. This is one feature packed template which includes page title headers and the fixed background support. Video landing page is an interesting option followed by the drag and drop footer inclusions. 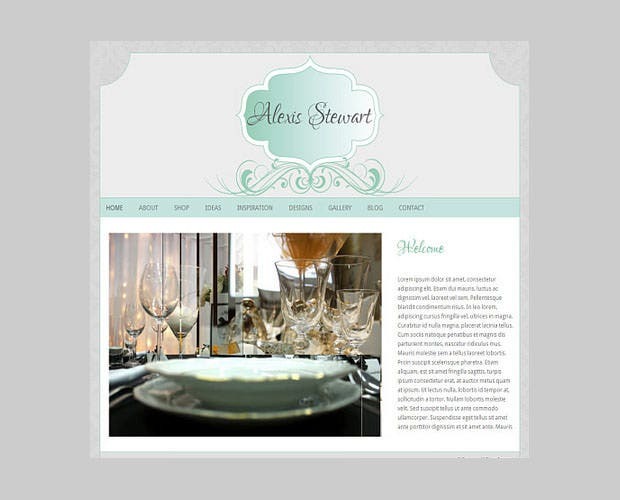 This template gives a bold and confident feel look to the pages in addition to the customizable page layouts. Drag and drop headers are included in addition to the plugin compatible options and an exquisite landing page. Impressive free Weebly theme comes with large zoomed images and bold texts in the homepage to give your website an exclusive feel. It allows you to keep the homepage simple with just the blog layout, post titles and index pages. 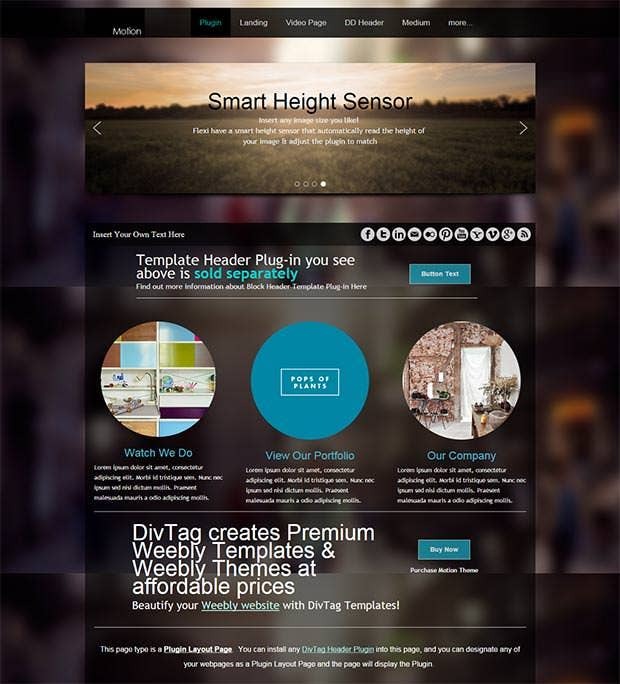 This is an exceptional template which features a drag and drop header besides the DD tab layout. Fixed background support is rendered in addition to the extremely compatible plugins and floating social icons. Include this versatile template into the mix which showcases a simplistic interface besides 6 page layouts. Full screen slideshows can be viewed in addition to the Nivo slider which makes its presence felt. 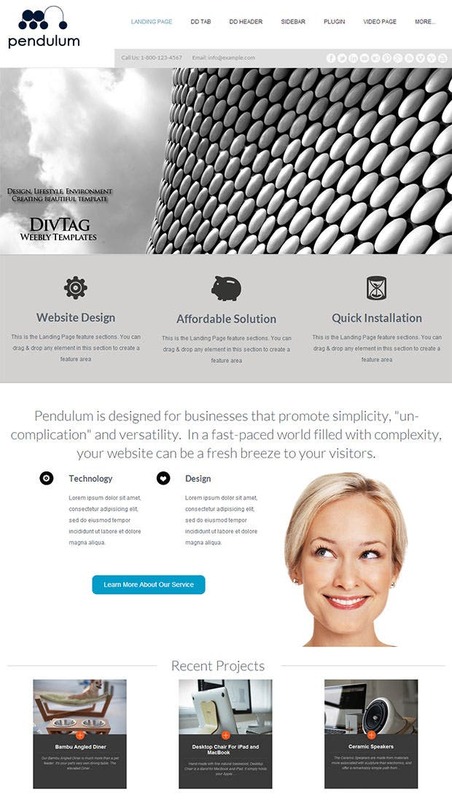 Free online publication Weebly template has a very classy look with black and white coloring elements only. It is one of the best Weebly themes that can give your site a retro feel and is suited for writers, publicizing organizations, e-books and other related websites. An ultra-modern template which features 5 page layouts in addition to the 9 unique elements! One can customize this template according to the user preferences whereas the block codes provide the needed professional impetus. Here comes a template with DD tab layout which also supports Drag and Drop sidebars. Landing page can be customized whereas the fixed background support renders added flexibility and support. Drag and drop header in addition to the DD tab layout make this template an instant hit. One can make the best use of the video landing page which is well complemented by the supported plugins. This theme gives your website an editorial and photogenic sense of style with various effects like headline fade, animation, vector social icons and layout options, CSS buttons and much more. 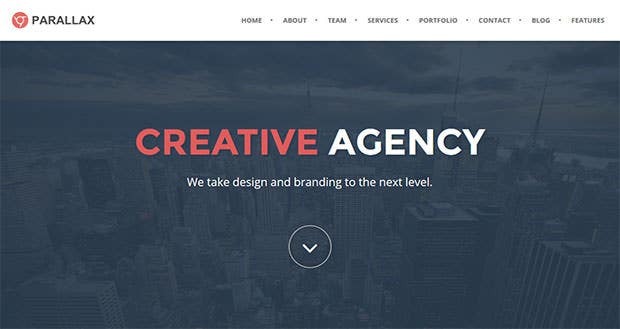 Creative free Weebly theme is coded cleverly to keep your website simple, functional and at the same time optimized for the inclusion of multipurpose content. It has beautiful imagery, logo spaces, headline options and homepage styles for versatile content need. 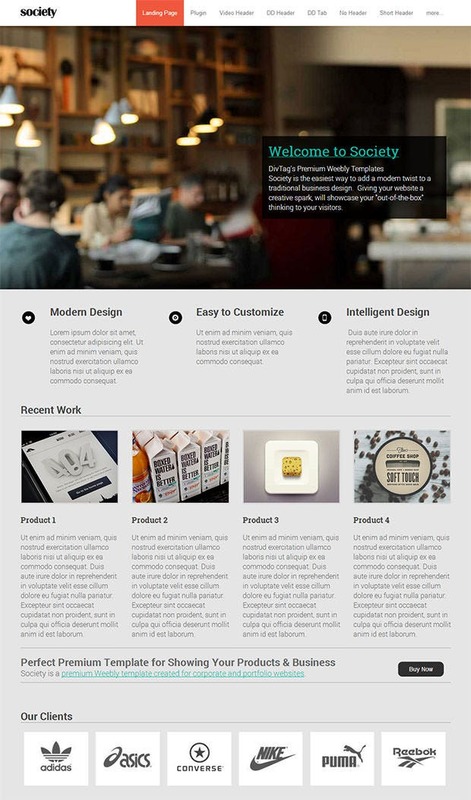 The motion theme comes loaded with features and is fully customizable Weebly theme. 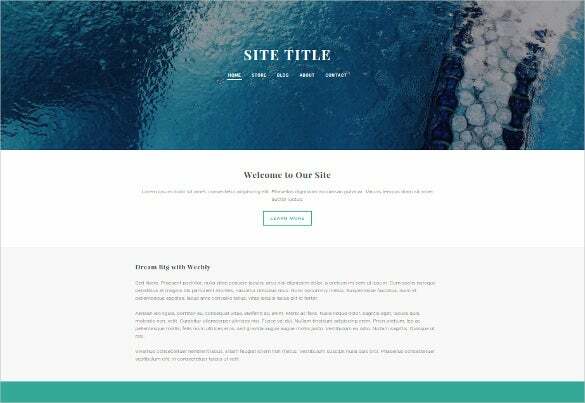 You can use this Weebly template to import demo content and various free Weebly plugins to help you design your website in no time. 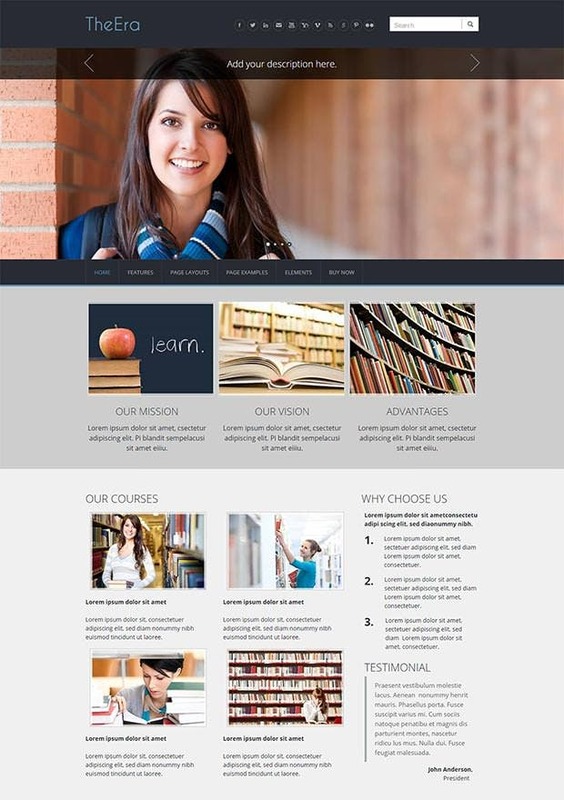 Weebly template for education is designed professionally to include pages for all necessary departments, forums etc. needed for any educational organization. You can view the live demo to get an idea on the usage before buying this template. This template has in store certain innovative options like a customizable setup beside the email support. Editable features come in handy whereas the simplistic designs provide the needed support to the professionals and designers alike. Elite Weebly theme and template is designed keeping in mind the needs of lifestyle websites. You can use it for travel, restaurants, photography, clubs and various other related websites. Amazing support and the drag and drop filter portfolio make this template an instant hit. Other options include the parallax scrolling option besides the 370 font awesome icons for the professionals. Trust these premium and free Weebly templates to offer you exciting and flexible options such as customizable headers that can have their own background images, intuitive side bars that can have all the content elements that Weebly allows you to use, and landing pages that can capture the attention of the users and increase the chances of a sale being made from your website or a member being added to it. Use these top class free Weebly templates to make your website the apple of everyone’s eyes. 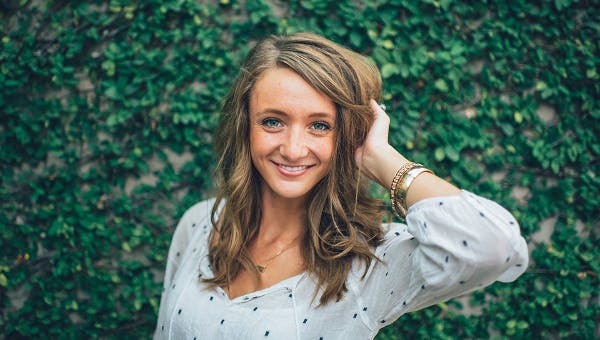 Weebly offers free accounts with very basic usage for new starters. These accounts come with features like site editor, hosting, unlimited pages, php e-commerce to include a maximum of five products and much more. If you consider other website builders available in the market then you will notice a considerable difference is that, no other builders offer so many features on a free account. With paying just $4 per month you can avail a starter account with your own domain name and expand the store to include a maximum of 10 products. ‘Pro’, which is the next upgrade to ‘starter’ and costs an affordable amount of $8 per month, includes many features like memberships up to 100 people, customizable bar at bottom of screen, slideshow at the top of the screen, advanced search options, drag and drop builder, customizable footer and much more. On the next level is ‘Business’, costing $25 per month, this makes a great choice for free business websites. Some additional features included in this are unlimited products store, unlimited members etc. Moreover this includes absolutely no transaction fee which means you get the total amount when selling something from your e-store. Weebly themes do not come with many plugins when compared to other such themes available in the market but of course as a great value for money. This platform is really user friendly and affordable making is a great choice for all kinds of websites. It is smooth, responsive and really simple to use. It offers much functionality in an easy to customize interface which makes editing easy for both beginners and advanced users. You can even edit it using the mobile friendly interface which is an extremely important feature as growing number of population prefer websites that are up to the mark on any screen size.